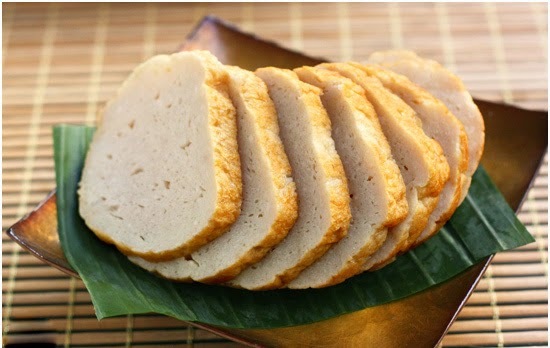 On the Tet Traditional Tray of food according to Vietnamese Culture, with traditional dishes such as Chung Cake (Banh Chung), Chicken Meat, Spring Rolls and so on, Minced Meat Rolls (Giò Chả) is one of the Traditional Vietnamese Food. There are many types of Vietnamese Minced Pork Rolls such as: pork-pie, beep dumpling, pork and skin paste, lean and fat pork paste, fried pie. 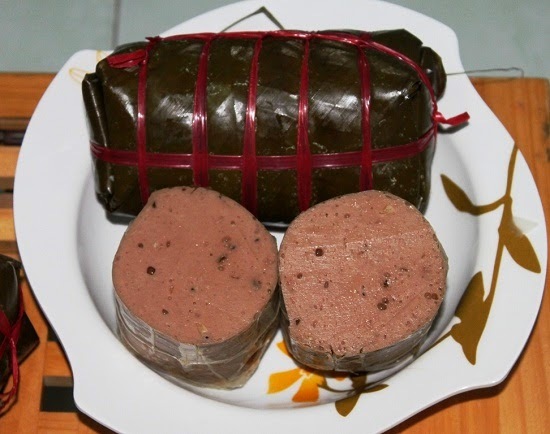 Each type has a particular taste but the most important thing to make Vietnamese Minced Pork Roll dishes really attractive is that the fragrance of banana leaves and fish sauce combined in the piece of Vietnamese dainty morsel in spring. In all kinds of Vietnamese Minced Meat Roll (Giò Chả), Fried Pie is the easiest one to prepare, so families often make it themselves when Tet is coming. 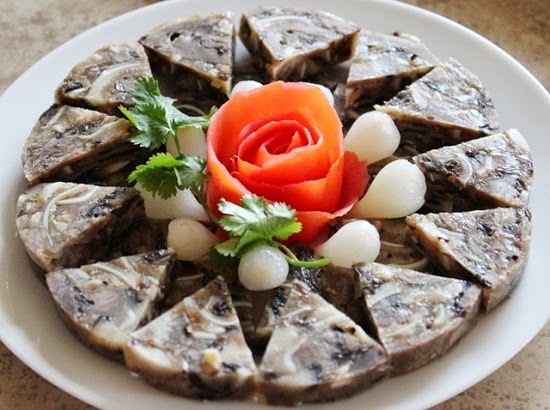 The main materials are parts of pork such as: ear, nose tongue, pork cheeks and cat’s ear mushroom (Mộc Nhĩ). The materials must be subjected to preliminary treatment, boiled through hot water, sliced, mixed with spices, pepper and fried. Also processed as fried pie, beep dumpling is often added for more fat so that it is not too dry. When cutting a piece of beep dumpling, it is slightly pink as the color of the beef. Especially, pungency and fragrance of pepper feature the typical characteristic of beep dumpling. This Traditional Vietnamese Food is more welcomed in Northern area. However, the pork-pie is make in the traditional way remains the delicious flavor that is different from the one ground by machine, since the makers must use more strength so they take proper care of their product. Fish sauce for making pork-pie must also be tasty and fragrant. When being cut, the pie must have the color of ivory-white and the surface has some small holes, surely that the pie is so delicious. I really love this Traditional Vietnamese Food. I usually eat one or two of them in just three days. So, what do you think? Is it amazing dish? There still have many other kinds of Minced Meat Rolls (Giò Chả) in Vietnam, so do not miss a chance to taste this Traditional Vietnamese Food whenever you come to Vietnam, especially on the Tet holiday. Hope you have an amazing trip with your friends and family in Vietnam. Good Luck.